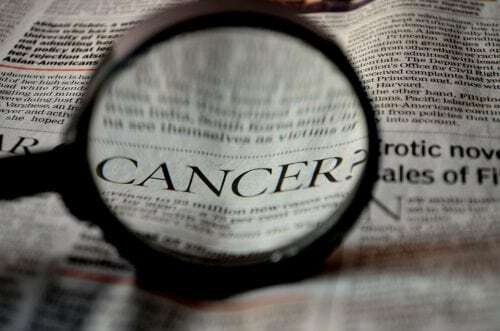 Cancer is an insidious disease, too often twisting the visage of the American people into a moribund and diminishing countenance as the disease takes its course. Big pharma is supposed to be looking for a cure – but they may never find it, or, they may not actually share it if they do. More and more people are turning to natural treatments for cancer, eschewing the “delights” of chemotherapy for natural approaches, and one of those approaches calls for the use of the Chinese plant known as the Thunder God Vine. Lei Gong Teng, Tripterygium Wilfordii and Thunder Duke Vine are all synonymous names for the plant known as the Thunder God Vine. A tricky herb – it hides its healing powers well underground – the peeled root of the plant is the only portion ingestible by humans. But what a power punch the thunder god vine root extract has! Many healing compounds nest below ground in this wonder-root, but the one responsible for inhibiting tumor growth is called Celastrol. As this compound gains notoriety, more studies are being conducted on it in research labs across the world. One such study was done at the University of Texas M. D. Anderson Cancer Center in Houston Texas, and what the researchers discovered there was that Celastrol can actually help to prevent the spread of the tumors, otherwise known as metastasis. When cancer metastasizes, it spreads from the original site of the cancer growth into the rest of the body. Celastrol was shown in a lab study done by Dr, Vivek Yadav and others to inhibit this process in both colon and pancreatic cancers and squamous cell carcinoma, by dis-allowing for the expression of the RNA of the cancer cells (specifically the CXCR4 Chemokine Receptor, which many attempts at making a medication to do this aim at). In other words, according to Dr. Yadav, the Celastrol shut down the ability of the cancerous cells to reproduce. This is how cancer kills – by reproducing like a virus, invading the body and taking over. It is thought that the individual organs produce chemokine, and that the cancer preferentially metastasizes to various organs because of the signals they put out. If the receptor for those signals, the CXCR4, is shut down, then the cancer cannot spread. What I personally love about Dr. Yadav’s study is this, taken directly from the study text. For over 20 years, our laboratory has worked on deciphering the mechanism of action of traditional medicines because most drugs used for treatment of cancer today have their origin from natural sources and they have been used for thousands of years. Celastrol, a triterpene, is one such compound, that was identified from the traditional Chinese medicine “God of Thunder Vine” or Tripterygium wilfordii Hook F. almost three decades ago and used for the treatment of cancer and other inflammatory diseases . Various studies have indicated that this triterpene exhibits anticancer potential [15, 16] and eradicates leukemia stem cells . It has been shown to suppress the production of inflammatory cytokines such as interleukin-1 (IL-1), TNF-α, IL-6, and IL-8 , induce heat shock response , and disrupt heat shock protein 90 (Hsp90) , possibly through its interaction with cdc37  and co-chaperone p23 . Gene expression signature-based analysis has also revealed that celastrol is a Hsp90 inhibitor . The link to the study will be available at the end of this article. It is refreshing to see the natural sources of the medications honored in a scientific study, and while the doctors in the lab didn’t just grind up a Thunder God Vine root and use it – they used a pure extraction of the Celastrol, the results are supportive of what the Chinese doctors have known for centuries – Thunder God Vine treat cancer.